Bao – Domee Shi and Becky Neimann-Cobb, USA, 8 minutes Late Afternoon – Louise Bagnall and Nuria Gonzalez Blanco, Ireland, 10 minutes Animal Behaviour – Alison Snowden and David Fine, Canada, 14 minutes Weekends – Trevor Jimenez, USA, 16 minutes One Small Step – Andrew Chesworth and Bobby Pontillas, USA, 8 minutes Plus a selection of additional animated shorts! 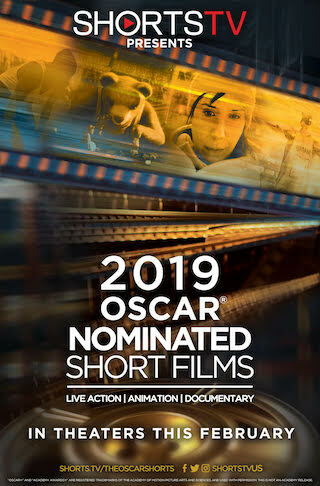 For the 14th consecutive year, Shorts HD and Magnolia Pictures present the Oscar-Nominated Short Films, opening on Feb. 8th. With all three categories offered - Animated, Live Action and Documentary - this is your annual chance to predict the winners (and have the edge in your Oscar pool)! A perennial hit with audiences around the country and the world, don’t miss this year’s selection of shorts.